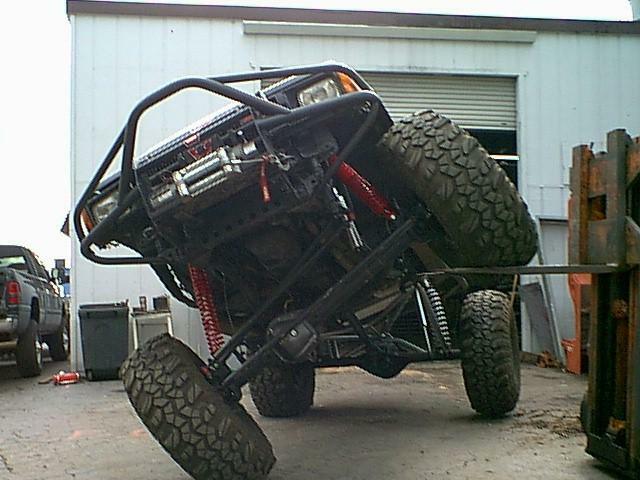 It had been a few years since I had done any major modifications to my 4 Runner. 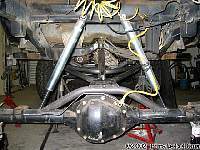 I already had a Dana 60 rear axle, Dana 44 front suspended by All-Pro front springs and Chevy rears. This had proven to be a great set-up for rockcrawing and general wheeling but the 4x4 modification disease had hit me again. After watching many rigs that had 4 or 3 link suspensions over the past few years I decided to talk to Bob Roggy from C&R Motorsports in Placerville Ca. Little did I know C&R already had a Toyota rear suspension kit in the planning stages so it seemed like a perfect time to take the plunge. C&R offers 3 different Toyota Kits to choose from. The 1st being the "3 Link Coil System" The 2nd being the "3 or 4 Link Coilover System" and 3rd being the "4 Link 1/4 Elliptic System. I chose to have the "3 Link Coil System" installed. 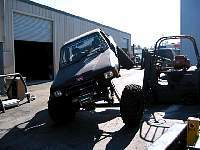 Over the years Bob has built many suspensions and complete competition rigs. 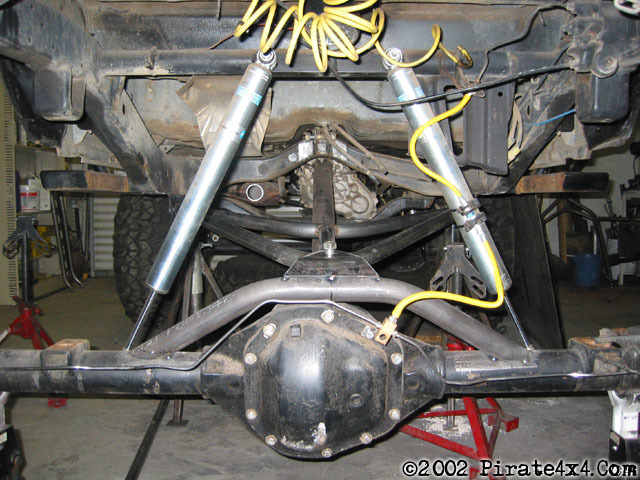 Bob had already began designing a complete Kit for Toyota Trucks and 4 Runners, the only difference with my application would be the Dana 60 rear axle. This axle would require a change in the mounting of the wishbone due to it being a cast piece vs the Toyota axle which is stamped steel. The goal of doing this conversion was to get more suspension up travel/ down travel and have better traction on steeper rock obstacles. This would be the 1st installation of a C & R Kit so measurements would need to be accurate. 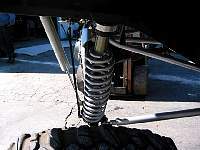 The basic "Coil" suspension design consists of a custom Upper Wishbone made from 1.50 inch 120 wall welded seam tube that attaches to the top of the differential using a custom weld on box enclosure. The Wishbone then connects inside the box using a "1 X 1" Heim Joint. The forward part of the wishbone connects using Poly Bushings to a new weld on link mount that supports the Upper and Lower forward links. This is a nicely fabbed piece that's really beefy! The lower links are made from 1.75 inch 250 wall D.O.M. tubing. Each end is internally threaded and connects to a 3/4 inch Heim. 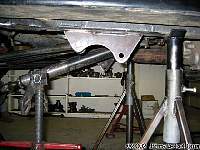 These lower links connect to the axle housing and the forward link then attaches to the Link mount already welded to the frame. This Kit does require the removal of the factory gastank. C & R installed a 22 Gallon aftermarket tank in the rear of the bed area which worked out perfect and allowed complete access to the frame. With this installation it also stopped all of the gas tank rockrash common to Toyota Truck or 4Runner gastanks. C & R does not include this tank in the Kit but will provide the tank for an added cost. 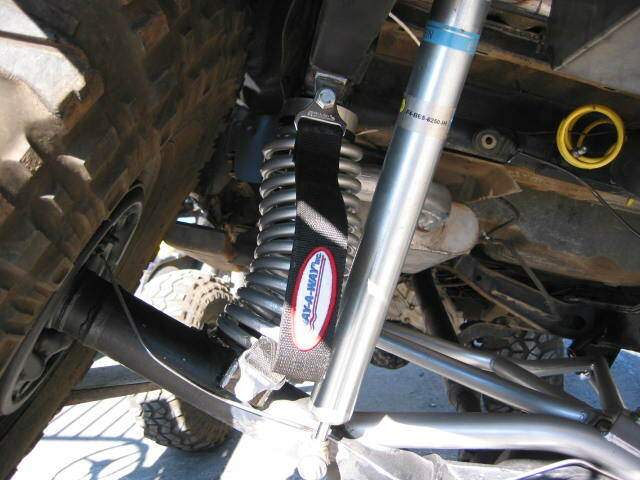 This Suspension Kit actually allows complete axle adjustment from front to rear as well and pinion angle adjustment. After the installation was complete C&R again cycled the suspension to check all connection points and links. 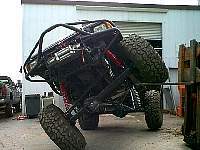 As the pictures show the rear coils work excellent during compression and extension. 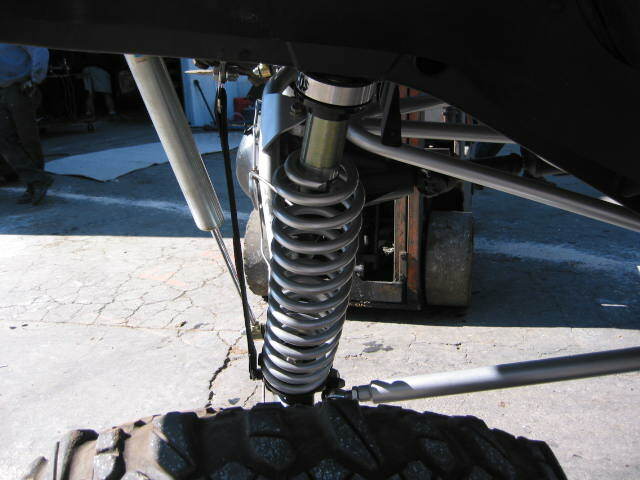 C&R also installed a complete custom Front 4 Link suspension using 14" Sway-Away Coilovers. (Full Write Coming Soon). 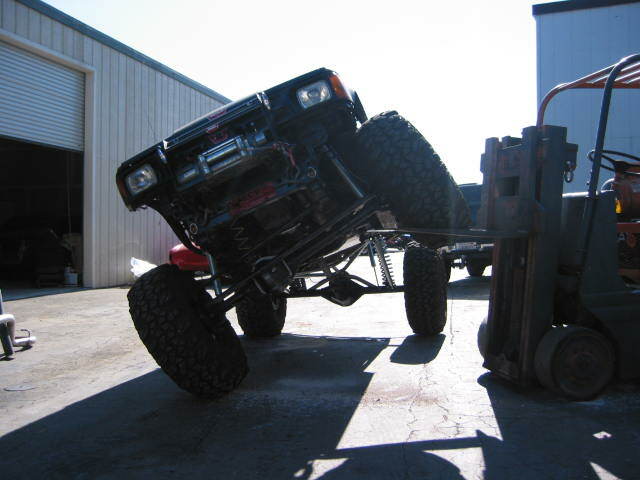 The Front suspension is not a kit, but can be installed by C&R to a Toyota or Dana axle...Call for details. 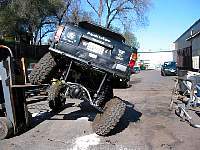 To date I have driven the 4Runner on the street and the new suspension works excellent. There is more noticeable bodyroll under hard cornering so a Sway-Bar is in the works. I only had a chance to test the suspension has been the All-Pro 4Runner Jamboree, its the Hammers so what an excellent place to try out the 4Runner. I ran SledgeHammer, Backdoor and Outer Limits........man let me say the truck is way more compliant over almost all terrain! Over hard bumps the rear just soaks up the hard hits with ease. The coils have stayed totally contained within the custom buckets at full droop with works out to over 2ft !!. I am really looking forward to more in-depth testing so stay tuned for a final update and more information on the front suspension! The Coil Conversion Kit sells for $ 1800.00 bucks shipped.